First of all you have to find a place to stay for the week-end, at least one night and it is not easy mostly because of your shoestring budget (a student budget is by definition very small) and because most owners are afraid to rent to a large group of students. Indeed they fear to find their place completely ravaged. So, you have to be patient and have a strong competence in negotiation to find the perfect place to rent for the WEI. Then you have to rent one or more buses to transport everyone (for more advice, please contact Manon Bourdin, the GED student who did this task). With the price of both, you can make a budget that every student who wants to attend the WEI will have to pay (to have an order of magnitude, our was 70€ per person), write a document to inform the students of the price, what is included in it, what they have to bring, documents they have to give, internal rules they have to sign … (to have the document written by Manon Bourdin and Héléna Chéron GED students please contact them). Students just arriving at the WEI. On September 18th 2015, the GED students gathered at the Tour First for the annual meeting with our partner EY. It was a new beginning that had a déjà vu feeling. For the older ones it was the start of another year and for the youngest, a smooth but enlightening way to discover a unique aspect of La Grande Ecole du Droit. 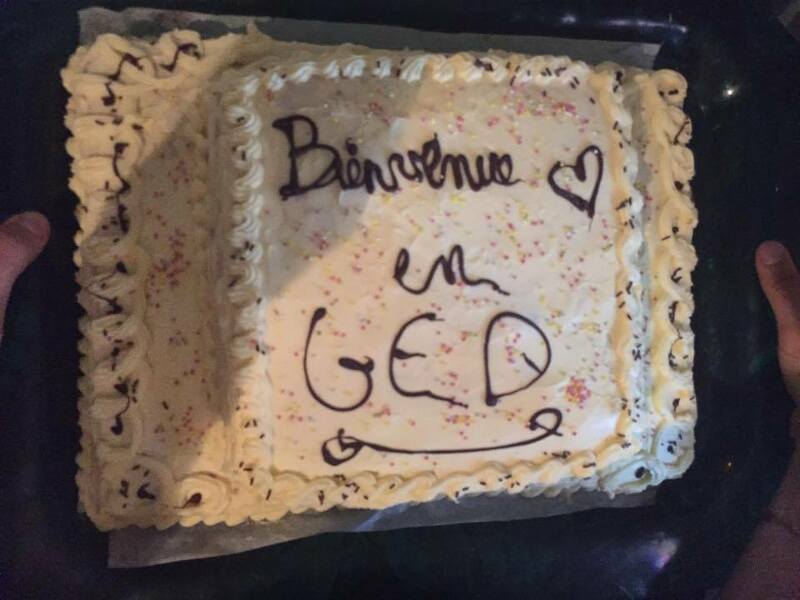 A warm welcome to the first year GED students with a home-baked cake. The GED is an ever-changing structure thanks to the arrival of new students : each year more and more undergraduates choose the GED among the innumerable possibilities of APB (Admission Post Bac). The GED is growing and so is the importance and the need to have a stronger and cohesive team spirit. In order to strengthen our group dynamic, we honored a tradition established by our seniors: organizing events to welcome and integrate the GED1. In this logic, the well-known GED freshers’ day has significantly been lengthened to a freshers’ week-end from September 25th to 26th (also called the WEI). The WEI took place in the Aube. Far away from Sceaux and its academic atmosphere. It is a way to enjoy each other’s company before tackling the huge amount of work given by October. 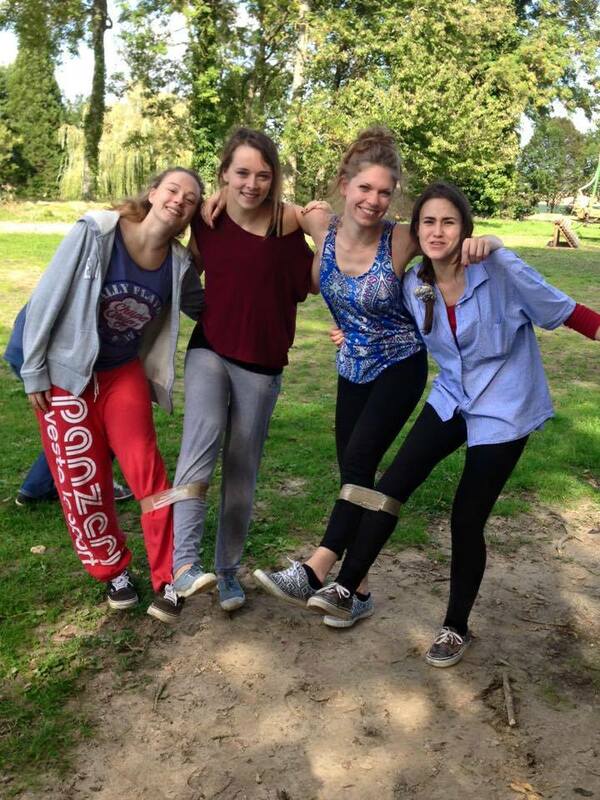 Cheerful atmosphere, obstacle races, songs,… a whole week-end to discover each other and to reassert the bonds between the different years of the GED. Some students of the Law and Economy courses of Assas were also there to dance and sing with us. It was not just an occasion to get to know each other but also a way to discover our students’ secret talents. GED students enjoying an activity during the WEI. Then came freshers’ night that concluded this two weeks of integration. Some GED students at the first WEI. The will to integrate new GED students can also be seen in our every day lives. We remain a group that shows everyday its cohesion. For instance, the tutorial system has been reinstated this year to enable dialogue between the different promotions of the GED. Being part of group, feeling integrated… Here are some examples of goals that we want to achieve with success. Everyone remembers their first time. For the Grande Ecole du Droit, it was the weekend of September 25th. This first WEI (Integration Week-End) was not only a success from an organizational point of view but also regarding the welcoming atmosphere. The holiday cottage, located in the region of Aube, as well as the mean of transport (coach) had been booked by Manon Bourdin (a second year student). However this WEI’s success is not only due to the effective integration of the freshers but also to the alliance the Grande Ecole du Droit and the Bi-cursus Droit-Economie of Assas. Few of them were with us, but still, a bunch of courageous students from the Parisian Law University came in order to celebrate the beginning of the school year (for students, any event is an excuse for celebration). 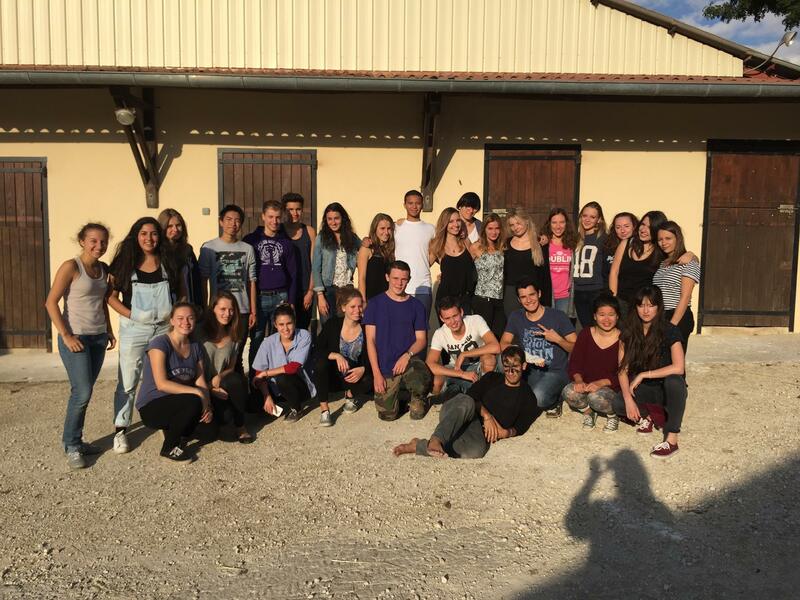 In the end, this year started in a very exciting way for everyone: the GED1 discovered their mates, the GED2 discovered their little protégés and the GED3 are enjoying their last time in France before living for their LL.M next year.